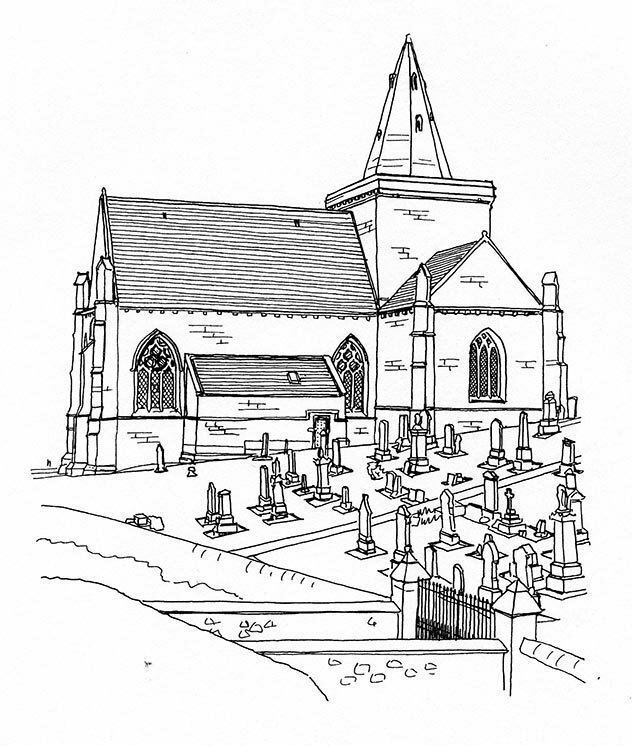 Occupying a striking position close to the sea, the church has origins going back to 875 AD when the relics of St Monan were buried in a shrine on this spot. The present church was built at the behest of King David II by Sir William Dishington in 1370. 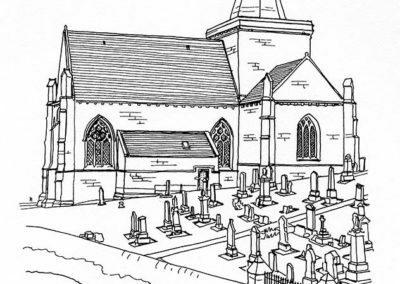 Only the chancel, crossing and two transepts exist; the nave was probably never built. Architect William Burn made alterations in 1828 and architect Ian G Lindsay gave the church its present white-painted interior in 1961. The interior features a fourteenth-century sedilia, piscina and aumbry, medieval consecration crosses and heraldic bosses. Votive models of ships, including an early nineteenth-century ship of the line, hang from the ceiling, a reminder of the close links between this village and the sea. Contact St Monans Parish Church.